This family-friendly Izu hotel is located in the mountains, within 3 mi (5 km) of Bamboo Forest Path, Shigetsu-den and Shuzenji Temple. Hie Shrine is 3.1 mi (5 km) away. 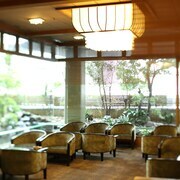 Situated near the beach, this ryokan is 0.3 mi (0.5 km) from Ito Orange Beach and within 9 mi (15 km) of Mt. Omuroyama and Izu Cactus Park. Izu Granpal Park and Ajiro Hot Spring are also within 9 mi (15 km). Ito Station is only a 4-minute walk. 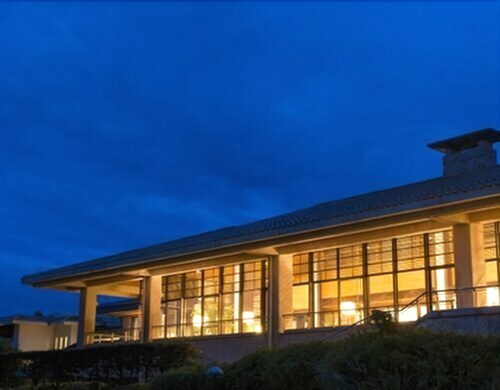 Situated in Izu, this golf hotel is within 3 mi (5 km) of Bamboo Forest Path, Shigetsu-den, and Shuzenji Temple. Hie Shrine is 2.9 mi (4.7 km) away. 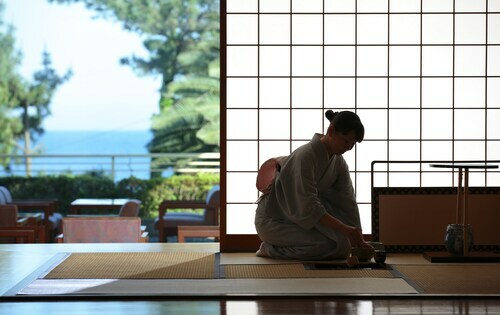 Nestled on the beach, this Kawazu ryokan is within 1 mi (2 km) of Imaihama Beach and Kawazu Hachiman Shrine. Kinomiya Shrine and iZoo are also within 2 mi (3 km). 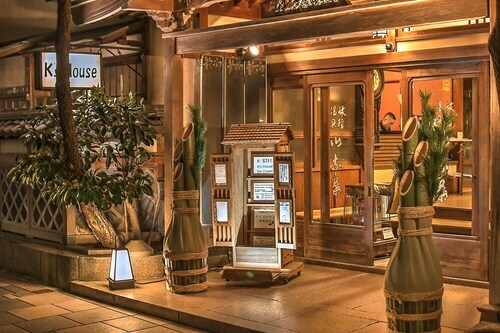 Located in the heart of Shimoda, this spa hotel is within 1 mi (2 km) of Choraku-ji Temple, Ryosen-Ji Treasure Museum, and Monument to Perry's Landing. Ryosen-ji Temple and Shimoda Park are also within 1 mi (2 km). Izukyushimoda station is 23 minutes by foot. 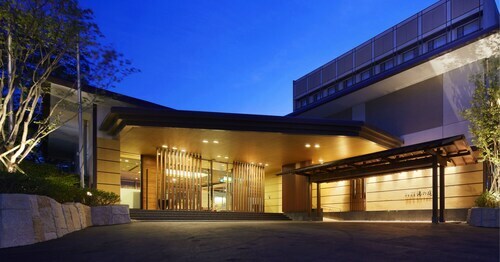 Located in the heart of Ito, this hotel is steps from Mt. Omuro, Jogasaki Coast, and Inatori Onsen. Izu Cactus Park and Katase Onsen are also within 5 minutes. Ito Station is 6 minutes by foot. 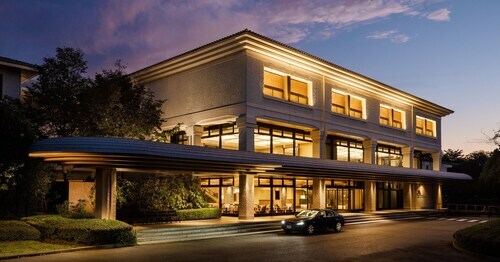 Situated on the waterfront, this luxury hotel is within 1 mi (2 km) of Mt. Omuro, Jogasaki Coast, and Inatori Onsen. Izu Cactus Park and Katase Onsen are also within 1 mi (2 km). Ito Station is 29 minutes by foot. 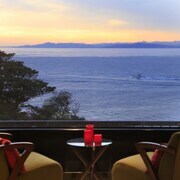 Situated on the boardwalk, this ryokan is steps from Tokko-no-yu Hot Spring, Shuzenji Temple, and Hie Shrine. Shigetsu-den and Bamboo Forest Path are also within 5 minutes. Situated on the riverwalk, this hotel is steps from Mt. Omuro, Jogasaki Coast, and Inatori Onsen. Izu Cactus Park and Katase Onsen are also within 5 minutes. Ito Station is 8 minutes by foot. 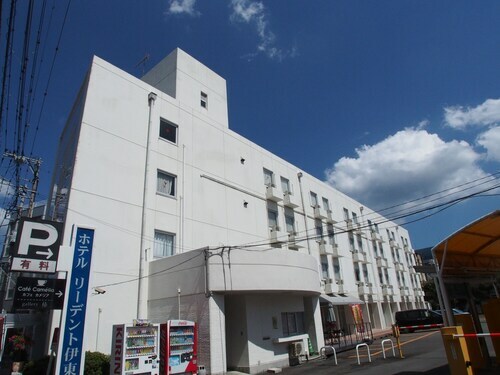 How Much is a Hotel Room in Izu Peninsula? 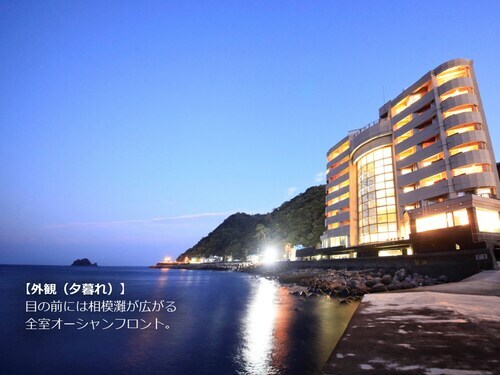 Hotels in Izu Peninsula start at $37 per night. Prices and availability subject to change. Additional terms may apply. Pack your bags—it’s time to embark on a getaway. 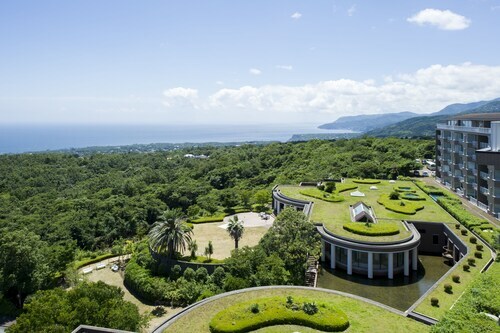 Whether you’re craving a solo retreat or promising your family a vacation to remember, book one of the best hotels in Izu Peninsula. These hotels are located within easy access of the city’s hottest attractions and entertainment, so you won’t miss a beat while you’re in town. Spend the days exploring the local landmarks and the evenings getting to know the nightlife. After exploring the city from top to bottom, rest up at a hotel that speaks to you. Find the perfect place that matches your trip’s vibe, from a trendy boutique to family-friendly accommodations. 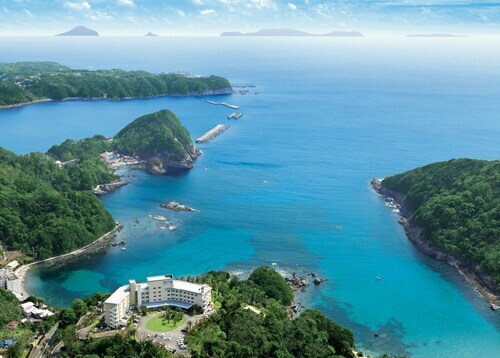 Allow us here at Travelocity to pair you with up Izu Peninsula hotels that suit your vacation preferences. Discover places with convenient on-site restaurants, around-the-clock service, and pools where your kids can make a splash. Some hotels may boast fitness rooms and spa services, while others feature game rooms and Wi-Fi access. To top it all off, you’ll score cheap hotels in Izu Peninsula that let you spend more on your activities and less on your lodging. Book and bundle your flight and hotel deals together today and save up to $537. It’s time to explore a new city, and break out of your routine. Hotel is perfect for family travel. The rooms and facilities are well maintained. Even a little far from the train station with no restaurant near by, for people who took train they offer shuttle bus and food delivery help. Enjoyed the stay! The Shimoda area is just beautiful! As an American family, we wanted a place with lots of amenities, comforts and conveniences. This hotel had just that! The location was lovely, on a hill over the ocean, and near things to do. It had a very nice sized room with a balcony. My only complaint are that the beds were hard as rocks, all else was great! A hot water pot was includes with mugs, water cups, green tea varieties, ice bucket, complimentary mochi and shrimp crackers were a nice little touch too. The sofa and rollaway beds were already places/arranged. We got a balcony/non-smoking room as requested! Yukatas were provided. Plenty of towels & toiletries! The onsen (hot springs) were nice, indoor/outdoor included. The pool facilities were great, and included a lifeguard! Since the hotel was on the top of a small mountain top, you have to walk down a series of stairs to get to the beach area, which was sandy and scenic! The hotel has several restaurants. We ate at the breakfast buffet restaurant, which had a Japanese/Western style with a great view and the food was cooked fresh. I met another hotel guest, Japanese, who said it's very hard to find a hotel that offers reasonable pricing, good sized rooms, with an indoor/outdoor onsen, pool (with life guard) and access to beaches! Driving around the Shimoda area, we could clearly see we had made a good choice. 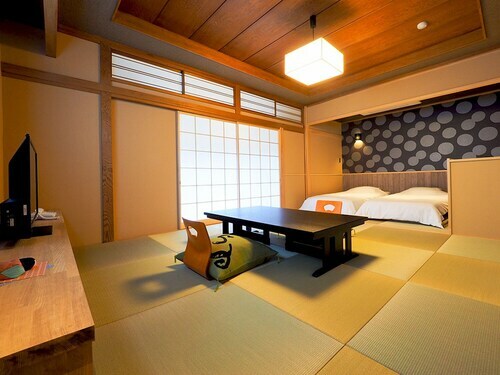 While there are probably loads of Ryokans and smaller hotels, you don't know what to expect for each.